Virb Recenze 2019 - Proč 4.4 hvězdiček? Virb has plenty of untapped potentials, but where things stand currently, it may be a while before real improvements appear for this site builder. In spite the lack of a drag and drop functionality, building a professional website with Virb is generally easy. Virb has a lot of unexploited potential, but for now it’s only good for a basic, no-frills website. Since its launch 11 years ago, Virb has positioned itself as a legitimate website builder – however, there is a sense that Virb’s development has stalled. The editor feels clunky and outdated. 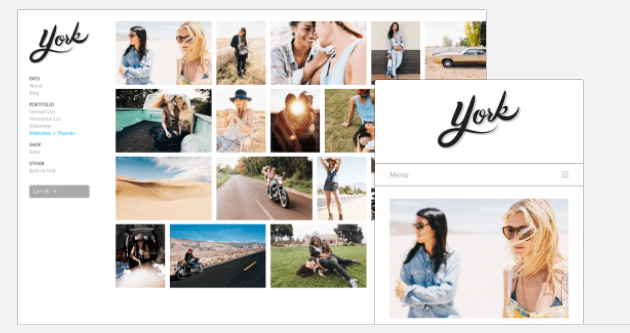 Drag and drop WYSIWYG editors are the standard among modern website builders but this isn’t the case for Virb whose editor, which is viewed in two modes, has a somewhat steep learning curve. For the most part, integration with third-party widgets (and there are plenty here) is seamless with the option of adding code to create custom widgets to your liking. While Virb gives you the basic tools to build a simple and responsive website, there is still a lot missing. While it features access to HTML and CSS and various SEO tools, inbuilt site statistics, integrated stores, and a drag and drop interface are sorely lacking. Wide Array of Stunning HTML Templates. 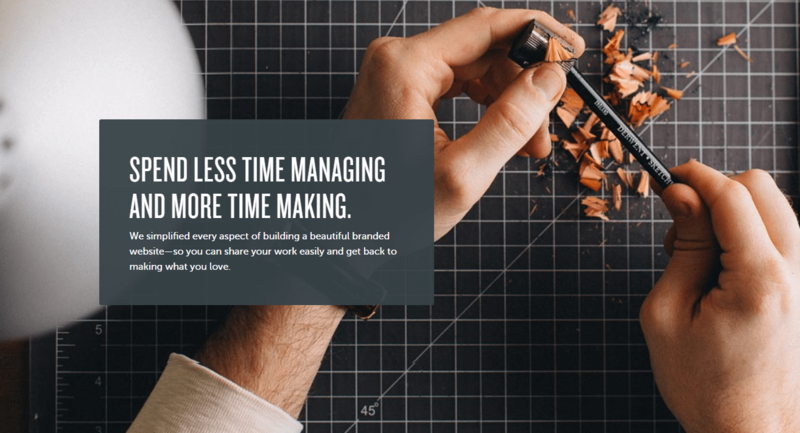 Beautiful business-first themes: Presently, there are about 26 templates available in Virb, which can be filtered by various categories, which include personal, portfolio, organization, business, restaurant, and music. 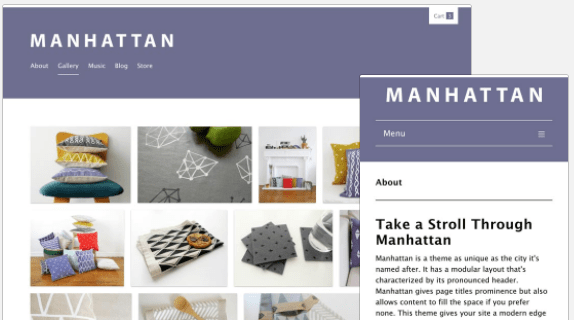 The templates are slick and will certainly give your website a stunning, modern look. Responsive: All Virb themes are responsive and will look great on desktop, tablet, and smartphone. A really neat feature here is the theme history, which lets you swap one theme for another without losing all your content. This is a complete time saver. 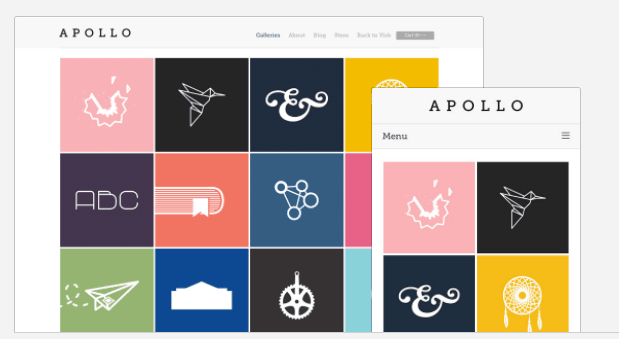 Customizable: You can undertake simple customization of themes including changing fonts, colours, and backgrounds. HTML and CSS access means you can change the theme as a whole or only make changes to certain pages to build your dream site. The best part is that you can easily preview your site as you progress with the building process. Robust Features for Every Type of Website. Blog: It’s easy to add a blog page on your Virb site. You can create rich posts by making use of features such as text, quote, audio, link, and photo. While you can save draft posts, unfortunately you cannot schedule posts to be published in the future. Other helpful features include RSS subscriptions for visitors, and Disqus and Facebook integration to power the comments section. The blogging tool generally gets the job done, but serious bloggers might want to look at a stronger platform such as WordPress. eCommerce: There’s no inbuilt eCommerce function here; instead, what you get is integration with Big Cartel or Etsy. Setting this up requires some backend work, which includes signing into either of the two online stores. This obviously adds to the time needed to set up a web store, which can be inconvenient. On a positive note, Virb offers inbuilt eCommerce settings that let you describe the size of the product, select the number of product photos to be displayed, and link products to the cart. SEO: Virb claims to have powerful SEO tools for each of their HTML-based templates. Yes, the tools are available but don’t expect anything advanced. You can include everything from site description to keywords. The tools here are basic, but they get the job done. This site builder lacks in-house site analytics, requiring you to add Google Analytics to view the stats. All You Need to Build a Website is Under One Roof. Building your Virb website starts with selecting a theme, choosing page types, adding settings, and then customizing the content. The entire process takes a little longer than it would with other drag and drop builders, but all the tools you need to undertake the process are easily accessible right from the dashboard. What’s more, there is a nifty progress bar that guides you as you build your first website. Useful Tools Only a Click Away. As mentioned, the drag and drop functionality is conspicuously missing from this site builder. Even so, most other things are easy to access—including signup, access to the toolbar, features, settings, and site analytics. Virb supports a host of widgets, making it a complete breeze to add music, videos, images, store, events, and social buttons to your pages. Going by the comprehensive knowledge base, Virb has evidently taken time to provide as much information as possible about how the site builder works. In the comprehensive Help Center, you will find everything from neatly organized and searchable documents to in-depth video tutorials. 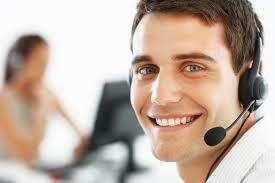 Unfortunately, there is no real-time help via phone support or live chat. The only way to contact the support team directly is through email but only between Monday and Friday from 9 a.m. to 6 p.m. EST. Virb lacks an updated social media presence, so this would not be the best way to reach them. Simplified Pricing for Great Features. Virb offers just one plan. This lack of variety can be a bit disappointing if you are looking for more flexibility with pricing, but it might also simplify things quite a bit. Another benefit is that you are not tied to any long-term contract. There is a 10-day trial period but this is quite short given the industry standard of 14 days. For a fixed monthly rate, you get access to site customization, inbuilt mobile styling, unlimited pages, unlimited photos/videos/audios, cloud hosting, custom domains, stunning themes, blog, SEO tools, site analytics, store integration, file storage, and support. No credit card information is needed during the trial period, but once you sign up after the trial period, you will not get a refund if you change your mind. onClick="trackClickout('event', 'clickout', 'Vendor Page - Visit User Reviews', 'Virb', this, true);"
I have been trying to cancel my account with them and they will not respond to me, but my card is charged each month despite my effort to cancel / delete my account numerous times. No one will respond to my emails, the site I built using Virb is no longer avaiable, but I'm still being charged. DO NOT USE THIS SITE!!! Virb should be renamed to Verb - it is past tense and should be closed. I recently left Virb, or attempted to I should say, and switched over to Squarespace. I've been with Virb for about 4.5 years and recently wanted to appear more professional. Now on to it as to why you should avoid Virb at all costs, regardless if it was $1 or $10 - no price is worth it. First, Virb is dead; it is merely being maintained by Go Daddy and zero, literally zero, customer support is available. They have removed the option to cancel/delete your account within account management - while all of their help articles provide instructions pointing to the option for cancelling accounts within account management. What you get now is a "contact customer service" and you are only able to change your password and email address, nothing more. So, I contacted customer support. Not once. Not twice. Three times over the past two weeks... And I have received no response. But do be sure they just took another payment from my credit card today - no problems there. They deserve a score of 0/5 - how anyone in 2018 could rate Virb with the score shown here shows the writer as being completely out of touch with their alleged subject.For the manner in which they are handling Virb customers Go Daddy should also be seen in a negative light here as well - as they are the owners.Bottom line: stay away from Virb and Go Daddy. You've been warned and should you ignore the warning, congratulations are in order to you - as you just paid into a dead service that will provide zero customer support to you while they take your money. Virb has plenty of untapped potential, but where things stand currently, it may be a while before real improvements appear for this site builder. One gets the sense that many of Virb’s features and functions have not been updated in a long while. This is a red flag for anyone looking for a dependable website builder. Don’t be mistaken – there are a couple of good things going here. In spite the lack of a drag and drop functionality, building a professional website with Virb is generally easy. The responsive templates are absolutely stunning and features such as SEO, the blogging tool, widget, and eCommerce integration give your website more functionality all offered at a great price. All in all, there are better, more powerful, more intuitive, and more reliable website builders than Virb that you may want to consider instead. Přemýšlíte, jak si Virb vede v porovnání s dalšími nástroji? Zadejte jakýkoliv jiný nástroj pro tvorbu webů a my vám je mezi sebou porovnáme.